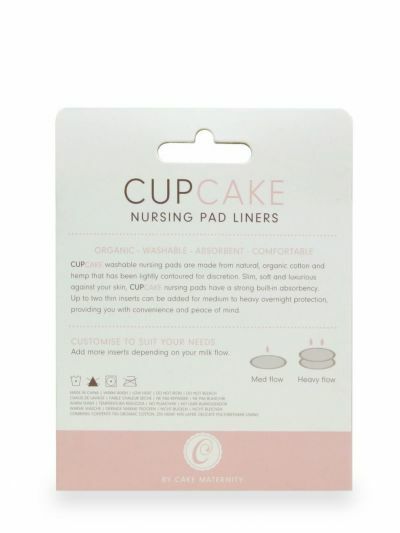 Nursing pad liners for Cupcake nursing pads. 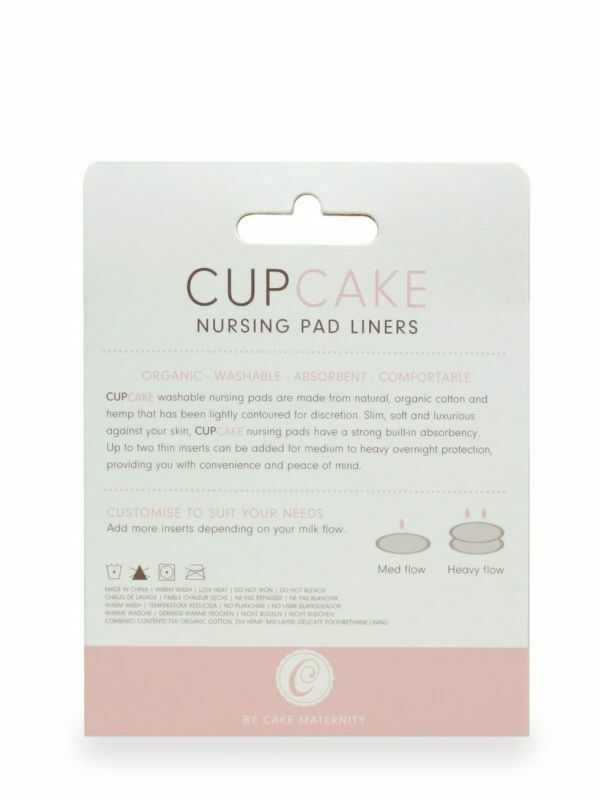 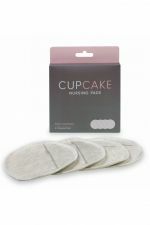 The packaging includes two pairs or nursing pad liners (four liners in total), which are are a suitable size for Cupcake nursing pads. Made of organic cotton and hemp. 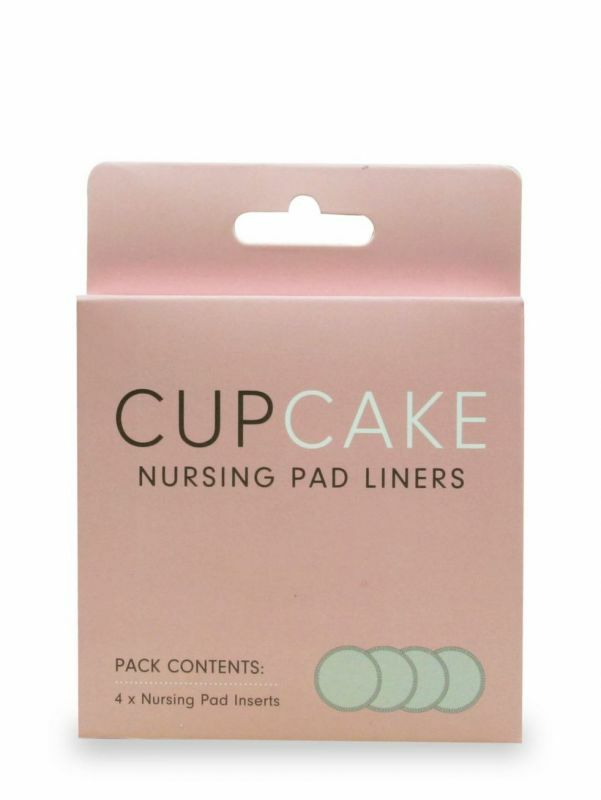 Insert 1-2 liners into a nursing pad pocket, depending on the absorbance level you need. 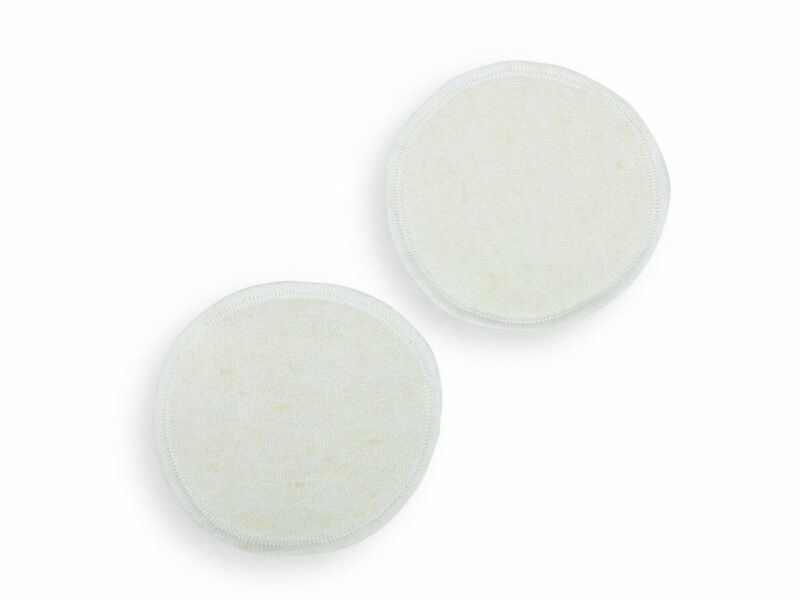 This product reaches its best absorbance level after a few washes. 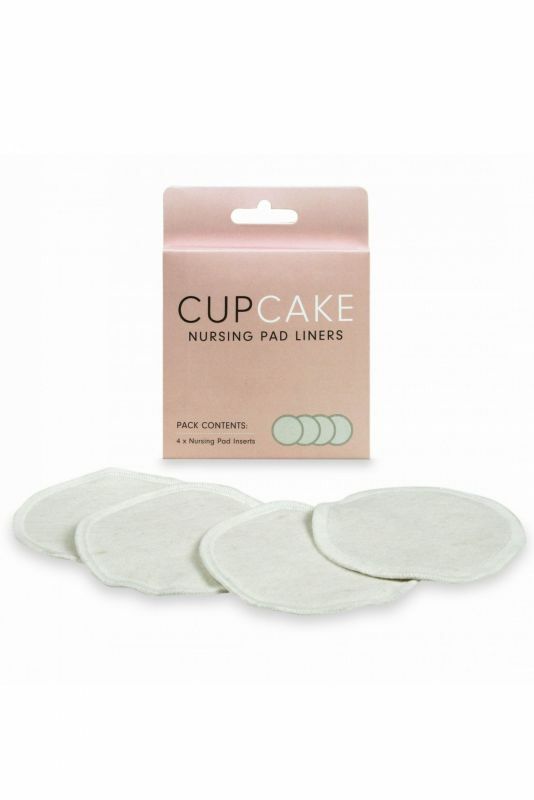 Nursing pad liners have no leak-proof middle layer, as they are not meant to be worn as-is, but with the Cupcake nursing pads.